A man-made breakwater that shelters Abu Dhabi island from the high tides and open waters of the Arabian Gulf, Lulu Island sits squeezed between the crab-like pincers of its marina and the docks at Mina Zayed. The result is a rather unlovely blot on the horizon and a 600-metre-wide lagoon that fronts the capital’s carefully manicured Corniche. 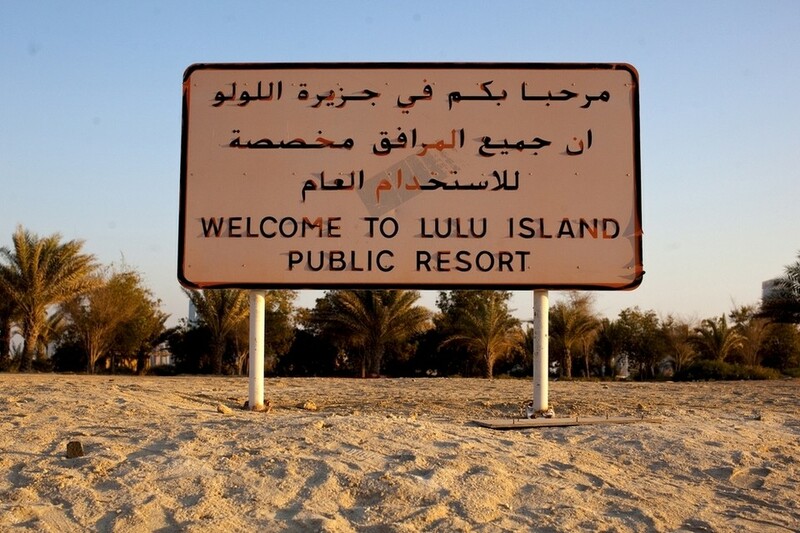 Unlike its name, which means “pearl” in Arabic, there is nothing beautiful or romantic about the island’s 500 barren hectares, but that hasn’t prevented Lulu from developing a strangely fascinating and unusual atmosphere. Instead, Lulu’s peculiar genius loci stems from the fact that in the midst of an urban landscape shaped by relentless and near continuous development, the island displays an inertia that is both uncanny and unique. Interesting insight into a place that appears something like a whale on the horizon. I’ve seen it from a distance many times but have never been there.